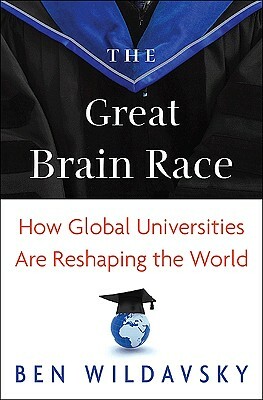 In "The Great Brain Race," former "U.S. News & World Report" education editor Ben Wildavsky presents the first popular account of how international competition for the brightest minds is transforming the world of higher education--and why this revolution should be welcomed, not feared. Every year, nearly three million international students study outside of their home countries, a 40 percent increase since 1999. Newly created or expanded universities in China, India, and Saudi Arabia are competing with the likes of Harvard and Oxford for faculty, students, and research preeminence. Satellite campuses of Western universities are springing up from Abu Dhabi and Singapore to South Africa. Wildavsky shows that as international universities strive to become world-class, the new global education marketplace is providing more opportunities to more people than ever before. Drawing on extensive reporting in China, India, the United States, Europe, and the Middle East, Wildavsky chronicles the unprecedented international mobility of students and faculty, the rapid spread of branch campuses, the growth of for-profit universities, and the remarkable international expansion of college rankings. Some university and government officials see the rise of worldwide academic competition as a threat, going so far as to limit student mobility or thwart cross-border university expansion. But Wildavsky argues that this scholarly marketplace is creating a new global meritocracy, one in which the spread of knowledge benefits everyone--both educationally and economically. Ben Wildavsky is a senior scholar in research and policy at the Kauffman Foundation. Previously, he was education editor of U.S. News & World Report, economic policy correspondent for the National Journal, higher education reporter for the San Francisco Chronicle, and executive editor of the Public Interest. He has written for the Washington Post, the Wall Street Journal, and Foreign Policy among other publications and is co-editor of Reinventing Higher Education: The Promise of Innovation. He has lectured widely in the United States and abroad.